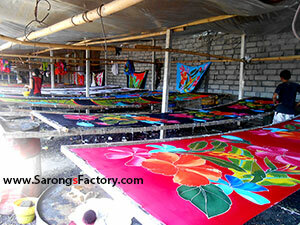 Sarong factory in Bali Indonesia. Sarong suppliers in Bali. Manufacturer and exporter company for sarongs pareo. Ready stock and made to order. Wholesale sarongs. CV MAYA Located in Denpasar, Bali. Phone: +628179731022. http://www.batiksarong.com/.